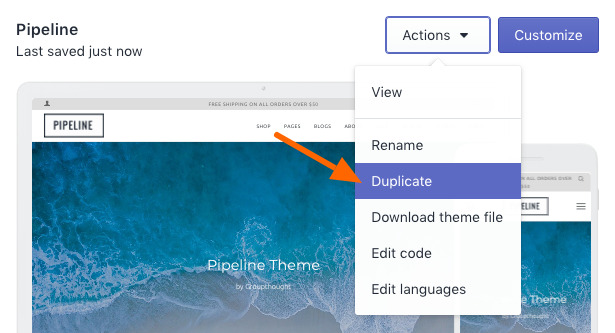 Shopify has a support document for adding variant drop-down menus to your product page. 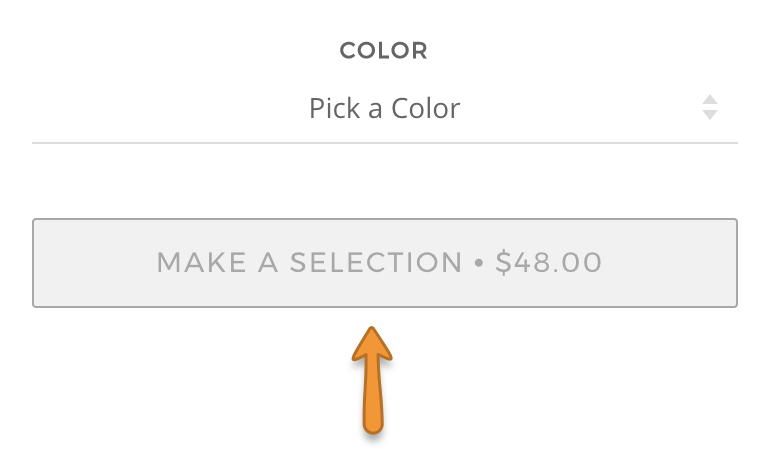 This is helpful as it forces the buyer to select a variant before adding to cart. 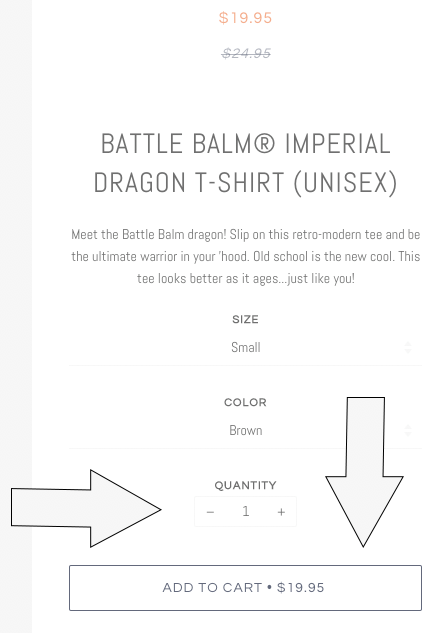 Note : Shopify has recently changed this document. 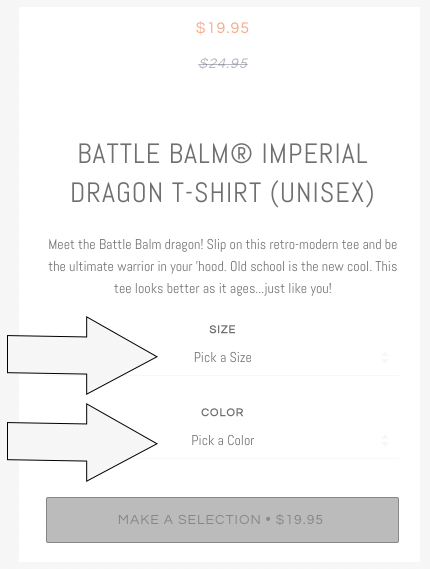 Please follow the steps below instead of using the Shopify article. This tutorial works with Pipeline 2.2 and higher. Important - Don't skip this step. A backup is necessary for this customization. 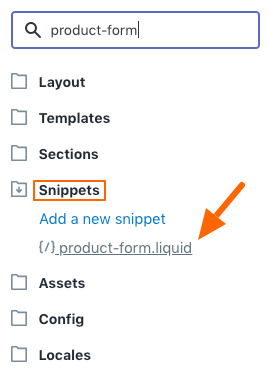 In the Code Editor, edit snippets/product.liquid. that should be on line number 25 or 26. The file you open in this step will depend on your version of Pipeline. 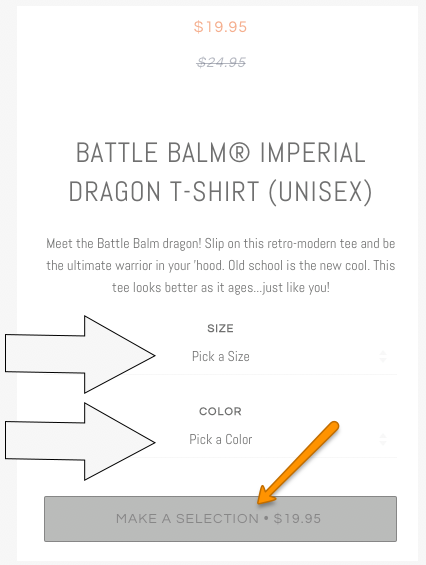 You can change the language settings for the Add to cart button so that products do not appear as "Unavailable" before a selection is made. 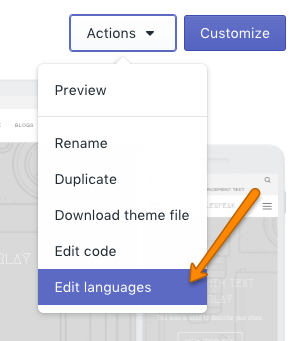 Click Actions, and then click Edit language.